Openings still available. Enroll now! Looking for the perfect Summer activity in San Diego? You’re in luck! You can now sign your child up for LionHeart Academy’s Yearly Summer Camp. Just call us at (619) 462-2027 and choose from our exciting options! ARCHERY: Be strong. Be patient. Be on target! Archers will be shooting recurve bows and real arrows every day. Students will practice range safety, shooting line etiquette, problem solving and self-analysis skills to carry them through a lifetime. Equipment is provided. Instruction is in East County’s only indoor archery range at LionHeart Academy. All staff are certified USA Archery National Training System instructors. Students must wear closed-toe shoes and no over-sized tops. Ages 10 and up. *USArchery recreational membership for $15 is required and can be obtained at www.usarchery.org. Please bring proof of membership to the first day of camp. FENCING: Described as physical chess at 100mph, fencing is lightning fast and teaches agility, strength, focus and tactical thinking- a sure hit for a video-gaming generation. Students will learn to attack, defend, thrust and parry with a sword. By the last day, students will be wearing full fencing garb and participating in an electric bout, scoring points like an Olympian. Fencing camp is taught by Maestro Stuart Lee, certified by the British Academy of Fencing and his associates. Wear athletic footwear, t-shirts and workout pants that cover the knees. Ages 8 and up. MEDIEVAL WARRIOR: Your child will actively learn the history of warrior cultures. Warrior Camp is produced in partnership with San Diego’s award-winning Chivalry Today Educational program and gives children a week of active, cooperative play as they imagine themselves becoming one of the heroes from their favorite movie, book or video game. Children learn safety, respect, responsibility, collaboration and the ideals of the code of honor as they take on the many challenges presented in Warrior Camp. Wear athletic footwear, t-shirts and shorts or workout pants. Ages 10 and up. Parents are encouraged to send their camper with a light snack, lunch and water bottle. Long pants and athletic footwear is required. Long hair should be tied back. 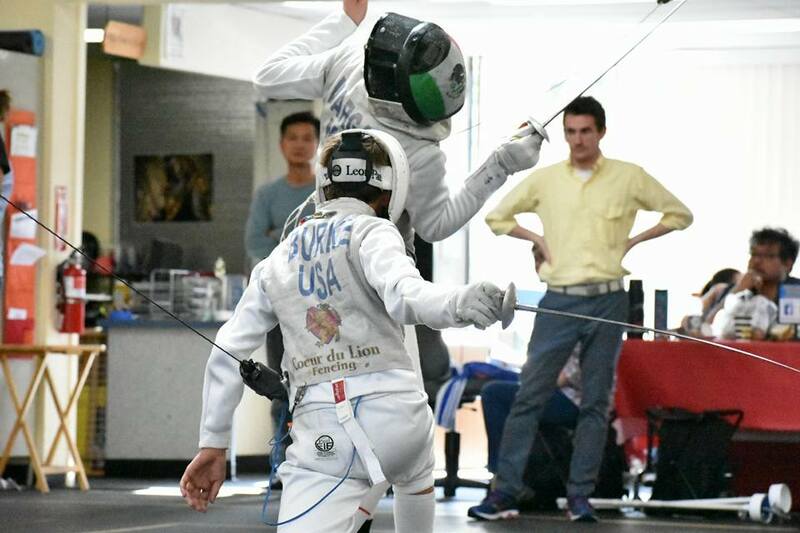 Interested in our weekly kids fencing and archery classes?